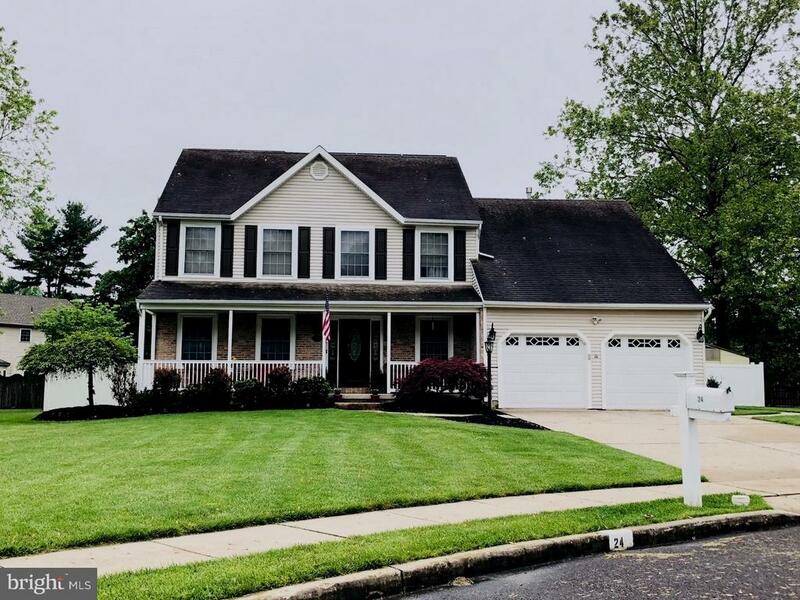 All Eastampton Twp homes currently listed for sale in Eastampton Twp as of 04/22/2019 are shown below. You can change the search criteria at any time by pressing the 'Change Search' button below. If you have any questions or you would like more information about any Eastampton Twp homes for sale or other Eastampton Twp real estate, please contact us and one of our knowledgeable Eastampton Twp REALTORS® would be pleased to assist you. "One of 2 lots being offered together for sale known separately as 1310 Woodlane Road and 1312 Woodlane Road. The total size for both lots combined is 5.41 acres. The road frontage for both lots combined is approximately 295 feet. The depth for both lots ranges from 680 feet on one side to 707 feet on the other side. The lots are zoned as commercial and designated for commercial business or office use. The permitted commercial types of business establishments are described in the documents that can be downloaded from this MLS listing or obtained at the Eastampton Township offices. The properties are currently being used as residential by the respective property owners, but both are zoned for commercial use. Any plans for commercial use would still depend on obtaining the proper approvals by the Joint Land Use Board for Eastampton Township." "If you demand the very best-better than new construction-this is it.! 2,700 sq ft(including the beautiful fin basement which offers 4th BR-huge walk-in closet,& full BA on a 1/3 AC, private/fenced yard with shed, stoned fire pit & new $8,000 stamped patio on a Cul de Sac. 2 car garage & huge driveway with extra parking. Enter from the picture perfect covered front porch this stunning home into open foyer towards spacious eat in kitchen with Hansen Hallmark-soft closing- cabinets with granite counters including huge island & sliding doors to spacious back yard. All flooring-carpets, etc-heater, C/A, tankless HW heater, whole house water filtration system, garage doors & openers, 3.5 bathrooms, 2 double vanities, exhaust fans, gas fire place re-stoned in 2017. for extra comfort there is a full house intercom & alarm system with 2 key pads To make life easier there is a zone sprinkler system. No worries about summer and/or winter bills with the Solar system-installed in 2014-your PSE&G bill & rental will usually be less than $150/month. Interested? Anyone should be! Great Location,- close to all major highways & still so very private & quality in this so very special home. Very attractive! Come see/buy!"